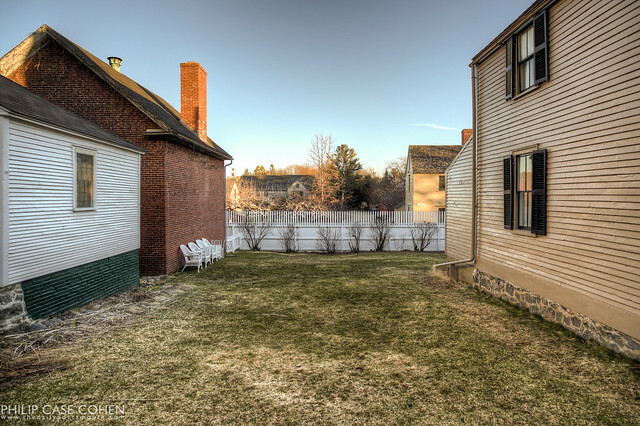 In this shot of Strawbery Banke, the grass finally makes its return after the snow melts away for the season. I’ll never say never, so we may see more snow before the season’s out…but it would take quite a storm to cover the ground for a prolonged period again. This little patch of grass is a welcome to spring for all those folks out there who need a bit of hope to get us through to warmer days. I chose this spot for a few reasons, I loved the open grassy patch as well as the old clapboards on the opposing houses along with their competing windows. The chairs on the wall at left add a nice human element, but also a sense of calm to the scene.